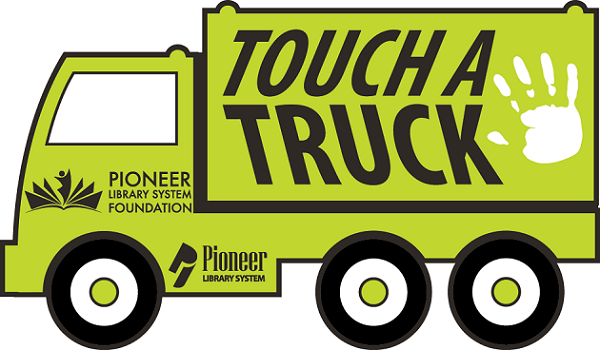 PIONEER LIBRARY SYSTEM FOUNDATION | Support your libraries by sponsoring or donating to Touch A Truck 2018! Support your libraries by sponsoring or donating to Touch A Truck 2018! Call PLS Foundation for details! Please provide the official name and contact information of the organization or individual we will recognize as a sponsor. Donate 100% - Add 3% so that 100% of the donation goes to PIONEER LIBRARY SYSTEM FOUNDATION. PIONEER LIBRARY SYSTEM FOUNDATION has partnered with Network for Good to securely process your online credit card payment via Network for Good (tax ID 68-0480736). This transaction will appear on your credit card statement as "Network for Good." This transaction is subject to Network for Good’s Privacy, Security & Disclosure Statement and the Charitable Solicitation Disclosure.